Whether you’re visiting for a week’s holiday, a month or two of traveling, or looking to work or set up a business in Brazil, a little Portuguese goes a long way. RIO DE JANEIRO, BRAZIL – Cariocas may be an incredibly welcoming bunch, and when you get to Rio, you will likely be greeted with plenty of smiles and friendly people ready to offer a hand. However, if you don’t speak a word of Portuguese, you’ll also be greeted by a lot of confused faces and shrugged shoulders. There are plenty of options to learn Portuguese right here in Rio de Janeiro, from private classes to high-quality schools offering a host of different experiences for all learning styles and requirements. For those looking for a fun and immersive way to learn Portuguese, Caminhos Language Centre and Português Carioca are two popular schools that combine high-quality teaching with hands-on activities and trips around the city. Caminhos Language Centre, founded by Dutch expat Jascha Lewkowitz, offers a true feeling of community and integration, with language courses of all levels being taught in the morning, followed by many free activities in the afternoon, including sports, hiking, capoeira and samba. 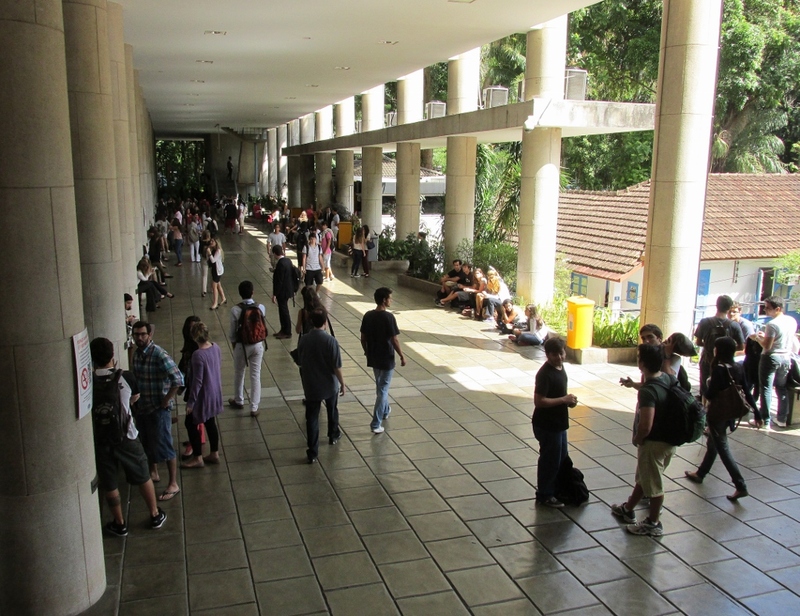 The school is located in Ipanema, and in line with their community feel, also offers accommodation for students. Caminhos prides itself on giving something back by teaching free English lessons to poorer residents, offering volunteer projects in nearby favela communities, and feeding Rio’s homeless. Caminhos Language Centre offers its students many free activities, including a monthly street party, photo internet reproduction. Português Carioca offers a course whose main focus is for people who wish to get speaking the language as quickly as possible. Márcia Håberg, director and founder of Português Carioca, believes she has developed a unique method to help expats feel confident while speaking the language, as well as with their surroundings. Both schools also offer a helpful student visa program for people who have fallen in love with the language, the city, the country, or all three, and wish to extend their stay beyond the 90-180 day limits of a tourist visa. For those looking for a more traditional learning environment, PUC Rio offers a Portuguese as a Second Language course, but currently this is only for students who are already enrolled in another course at the university. However, they do have a number of courses being taught in English. These vary from semester to semester and it is best to check with the University directly. Before even setting foot on Brazilian soil, there are plenty of ways to brush up online. Duolingo is free, fun and easy for beginners; while StreetSmart Portuguese offers one-to-one lessons with a professional teacher via Skype; and there is also PortuguesePod101 that has a wealth of free youtube videos as well as a paid online course. This is a helpful article which I wish I had seen at the begining of my 2.5 years there in Rio! I eventually did find Marcias program, through her affiliation with Escola Americana do Rio de Janeiro and found it to be helpful. The other useful tool I found was Marina Gomez’s free podcast service.